While the daily job of drug rehab is vital, Narconon Arrowhead staff also find time to bring cheer to local communities. We try to make the holidays enjoyable for our students so they can focus on their rehabilitation without feeling they are missing anything. We also want give back to the communities around us that provide so much support year round. Each year, the Christmas season is not just about drug rehab at Narconon Arrowhead, located near Canadian, Oklahoma. It’s also about Christmas parades, about making the holidays enjoyable for those going through drug rehab, and about helping out the disadvantaged. 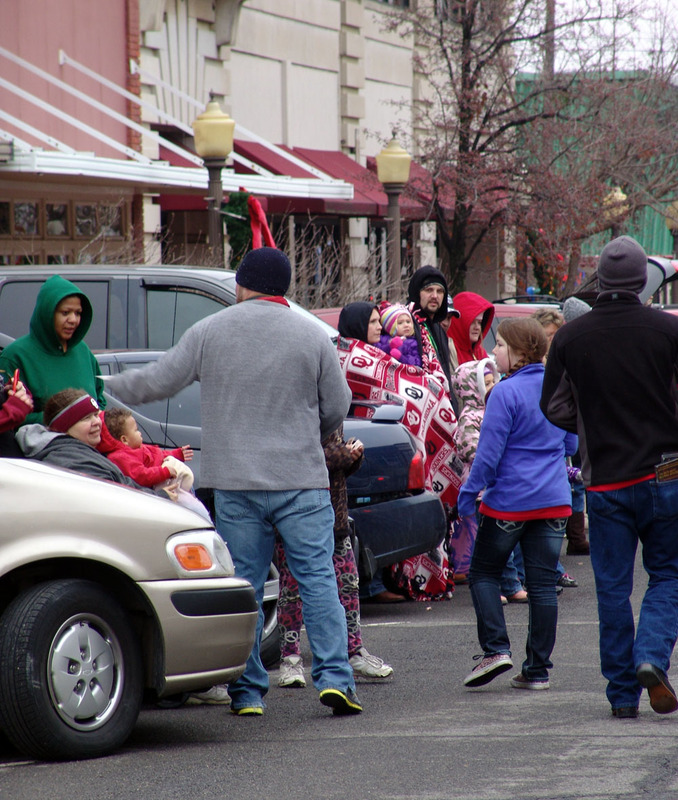 While the icy storms caused the cancellation of some Oklahoma parades this year, the Narconon float still made it to Christmas parades in Muskogee and McAlester. 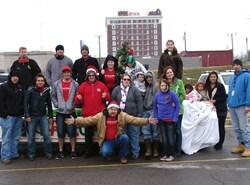 The theme of this year's float was "Narconon: Directing a Brighter Future." A cameraman on the float took video of the crowds lining the parade routes in both cities and they got to see themselves on the big screen mounted on the float. 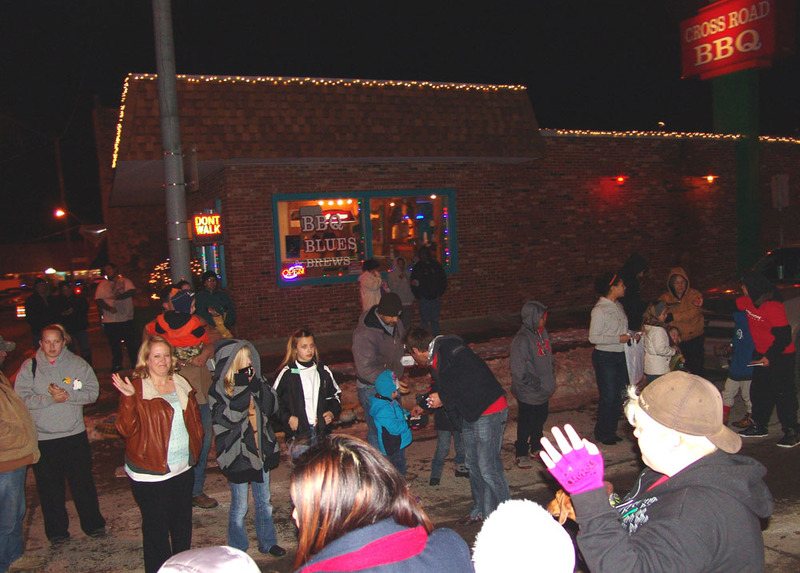 On December 7th, the float entertained crowds in Muskogee and on the 12th, thousands of people lining the snowy streets of downtown McAlester. To set the holiday mood for the Narconon Arrowhead students on-site, studying and learning to live drug-free lives, there was a December 15th talent show featuring staff and students alike. A stocking party is planned for Christmas Eve, with a friendly game of 'Dirty Santa' (a gift exchange in which other people can claim the gift you received, causing you to pick another gift, and so on, to great hilarity for all). "Being here, recovering from drug addiction is one of the most important times of the lives of our students," said Gary Smith, executive director at Narconon Arrowhead. "They have this short period in which to learn life skills that will enable them to stay sober. That, however, doesn't mean they can't have FUN!. We try to make the holidays enjoyable for our students so they can focus on their rehabilitation without feeling they are missing anything. We also want give back to the communities around us that provide so much support year round." As they do every year, the Narconon staff and executives made donations to area youth and women's charities. This year, there was a cash donation to the Emergency Youth Shelter for McIntosh and Pittsburg Counties and a gift of daily necessities for the Hope House of McAlester, a woman and children's shelter. This year, a special donation was made on behalf of a handicapped child at God's Helping Hands – this child needs a walker to make her Christmas brighter. "It's a learning experience for our students, too," added Smith. "Most of them are recovering from periods during which they harmed themselves and probably others, too. At this special time of year, they get to experience the joy that comes from helping or giving to others. This may be the first real joy they have felt since they became addicted. It’s all part of recovery."